IWC is probably one of the best story tellers in the Swiss watch industry. Collection after collection, the Schaffhausen company takes its inspiration from amazing stories and heritage and translate them into beautiful and unique timepieces. During SIHH 2017, IWC will reveal its new variation of the Da Vinci collection. A true celebration to one of the most brilliant minds of human kind: Leonardo Da Vinci. 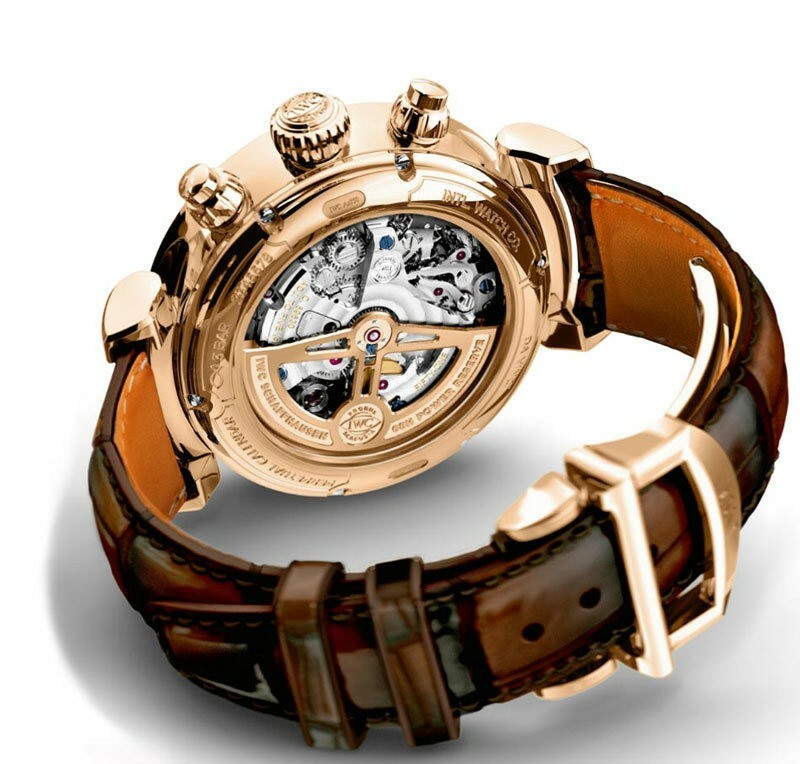 In the late 1960s, Leonardo da Vinci’s revolutionary way of thinking inspired IWC to introduce a watch named after him. Even that very first Da Vinci model surprised watch lovers with a special quality that has remained typical of the family to this day: that of always being a little ahead of its time. Many trailblazing innovations have first been developed for use in a Da Vinci. Never before in an IWC wristwatch had a gear train converted the enormous distance travelled by the escape wheel into a single movement of the century slide: between two of these movements, a point on the outer rim of the balance covers a distance equal to 40 times of that around the earth. 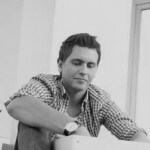 Its intricate mechanism comprises just 83 components and is extremely simple to use. 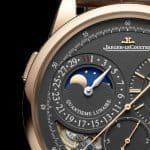 For the first time in IWC’s history of portable time, the displays for the date, day, month, year, decade, century, millennium and phase of the moon can all be set synchronously, a day at a time, via the crown. The Da Vinci was first published in 1985 and was the first perpetual calendar chronograph which handled the unevenness of the Gregorian calendar almost without any user intervention. It indicated the complete four-digit year number, the first two numerals are switched mechanically on a so-called century slide only once every 100 years. At the same time, the Da Vinci was the first complicated watch of this kind, which did not need correction pushers, tables or complicated application guidelines. All its calendar indications are synchronized with each other and can be switched together day by the day even by the crown. Deep blue colored moonphase and chronograph totaliser at 12 o’clock. 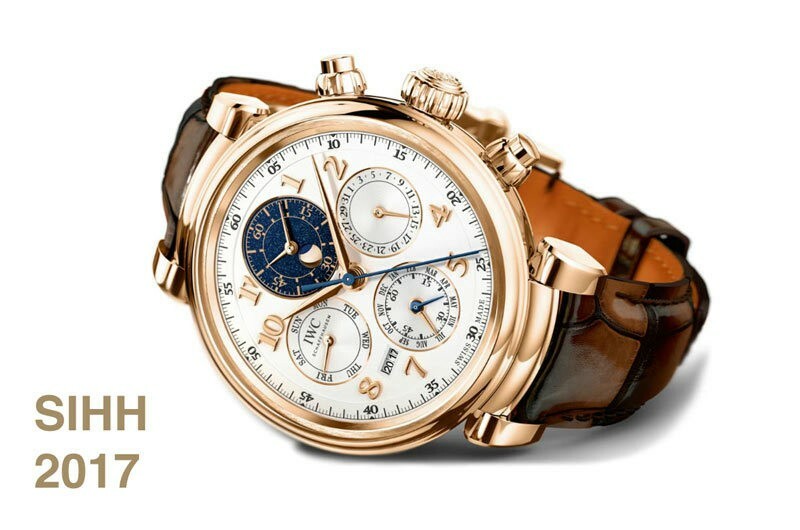 For more information about IWC, please connect to the brand official website: http://www.iwc.com. Leonardo Da Vinci dreamed up more inventions and machines, and discovered and documented more of the laws of nature than hundreds of his contemporaries and those who followed him. All his groundbreaking inventions, such as helical gears, bevel gears and complicated screw transmissions, can be found in many machines today, including watches. His work on space-saving spring drives and new escapements, in particular, was crucial to many inventions. 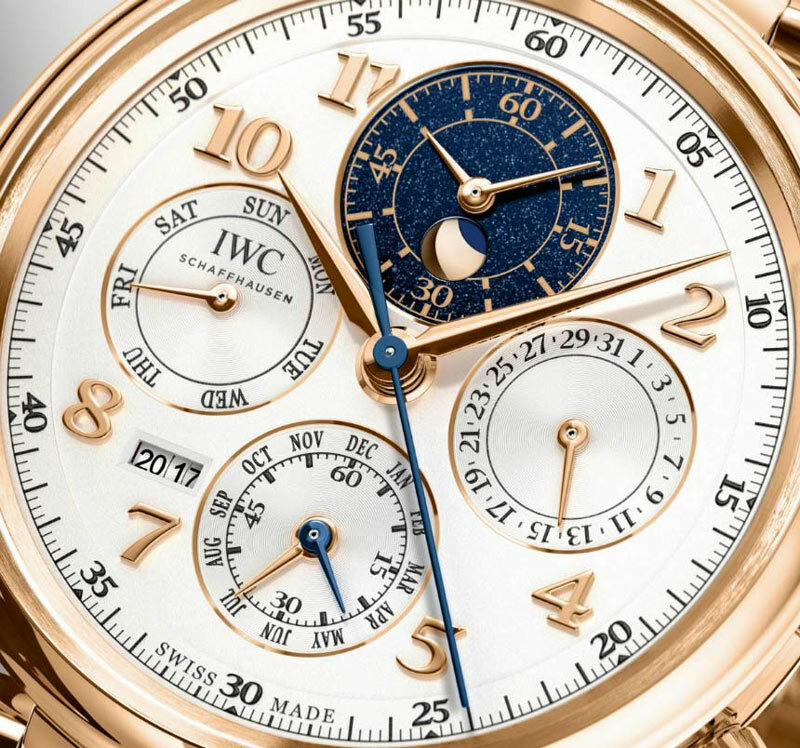 IWC remains faithful to the spirit of the Italian creator by revisiting this amazing collection. Info sourced at IWC communication release. All content is copyrighted with no reproduction rights available. Images are for illustration purposes only.